The Bible stories concerning the relationship of God's people with Egypt have been subject to much ridicule. Critics regard Biblical stories, such as the accounts of Joseph and the Exodus, as mythology. The stones of archaeology were silent witnesses to the dramas of the past, and it was only after 1799, when the Rosetta Stone was discovered, that the ancient records could be deciphered. It took Jean-François Champollion 20 years to decipher the ancient hieroglyphics from the Rosetta Stone. The Stone was unique in that three languages were inscribed upon it, each telling the same story. The science of archaeology is thus a fledgling science, and most of its treasures have only been subject to scrutiny in the last century. Today it is possible to not only read hieroglyphics, but also the ancient cuneiform writings. Astoundingly, the ancient relics have succeeded in silencing many of the Biblical critics. 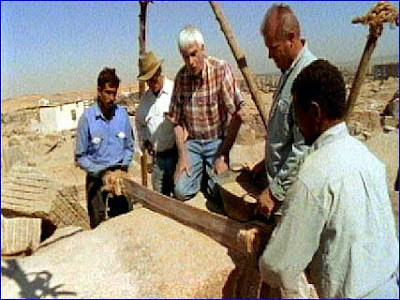 The harmony between Scripture and archaeological findings has shed new light upon the debate. Concerning the story of Joseph, it is known that the Semitic Hyksos overthrew the Egyptian dynasties from the year 1780 BC to 1545 BC, a period of just over a quarter of a century. During this time, it would have been possible for a Semite to reach the position of prestige occupied by Joseph. In recent times, frescoes have been found in Egyptian tombs depicting fat and thin cows, and inscriptions have been found referring to seven lean and seven opulent years, making this Biblical story more than just a myth. One of the most exciting stories in Scripture, however, is the Exodus. According to Biblical chronology, Moses was born in 1530 BC, during the reign of Tutmoses I, who ruled from 1532 to 1508 BC. Tutmoses I was the third pharaoh of the 18th dynasty. The first pharoah was Amoses 1570 to 1553 BC, followed by Amenhotep 1553 to 1532 BC, who was the father of Tutmoses I. This is the pharaoh who issued the decree that all the sons born to the Israelites were to be thrown into the river, but that girls were permitted to live (Exodus 1:22). "When Pharaoh heard of this, he tried to kill Moses, but Moses fled from Pharaoh, and went to live in Midian" (NIV). It was here, in Midian of Sinai, that the Lord revealed Himself to Moses. Two pharaohs reigned simultaneously during the exile of Moses. Tutmoses I, who issued the decree to kill the newborn sons of the Israelites, was the father of Hatshepsut, the princess who is the most likely candidate for having found Moses in the Nile. It is probable that Moses grew up as a foster child in the house of Pharaoh. Tutmoses I had no sons, and, upon his death in 1508 BC, Moses could have become the pharaoh, but he declined. Acts 7:20 tells us, "Moses was educated in all the wisdom of the Egyptians, and was powerful in speech and action." In Hebrews 11:24, we are told, "By faith Moses, when he had grown up, refused to be known as the son of Pharaoh's daughter." After Moses' refusal, Tutmoses II (the husband of Hatshepsut) became pharaoh, but he only ruled from 1508 to 1504 BC, a period of just four years. Again, Moses could have become pharaoh, but again he refused. Hatshepsut herself became the next pharaoh. Her mortuary temple is at Deir el Bahri, and she ruled Egypt from 1504 to 1482 BC; a total of 22 years. The illegitimate son of Hatshepsut's husband became co-regent together with her. He was Tutmoses III, who was favored by the Egyptian priesthood. The story of Hatshepsut is a sad story. In 1488, six years prior to her death, all official records of Hatshepsut ceased. Her royal wall paintings on the walls of her mortuary temple at Deir el Bahri were defaced, and her statues were destroyed. To this day, only a few small busts have been found. Such drastic action was only taken if pharaohs were disloyal to Egyptian deities. It is probable that Hatshepsut adopted the Hebrew religion in 1488, when Egyptian documentation about her ceased. Moses at this time was already in exile, having fled before the wrath of Tutmoses III, who enjoyed the support of the Egyptian priesthood. Moses heard about the death of Hatshepsut while he was in exile, and her death is recorded in his writings. Exodus 2:23 states, "During that long period, the king of Egypt died." The sole ruler in Egypt was now Tutmoses III, and with Hatshepsut out of the way, and the protection she probably afforded the Israelites no longer available, Tutmoses suppressed them in a most cruel fashion. "The Israelites groaned in their slavery and cried out, and their cry for help because of their slavery went up to God. God heard their groanings and...looked on the Israelites and was concerned about them" (Exodus 2:23-25). The return of Moses and his fear for Pharaoh is now understandable, particularly since the same pharaoh that induced him to flee became the sole ruler in Egypt. 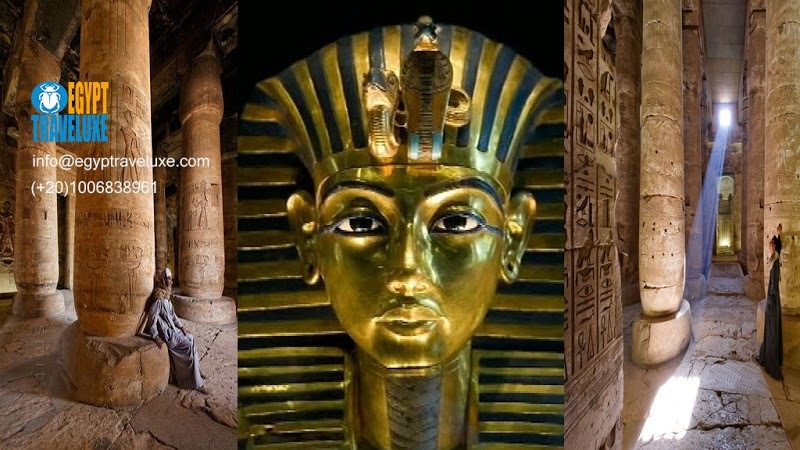 Tutmoses III was one of the greatest pharaohs in history. He was known as the Napoleon of Egypt. He ruled until 1450 BC, which, according to the chronology in 1 Kings 6:1, is the year of the Exodus. According to the Bible, the Exodus took place on March 17, 1450 BC. The precise dates of the Passover and the Exodus are recorded in the Scriptures. The Bible tells us that the pharaoh then ruling (Tutmoses III) followed the Israelites through the Red Sea, and that he was killed in the process. The biography of Tutmoses III, written by Amenemhab says, "Lo, the king completed his lifetime of many years, splendid in valour, in might and triumph: from year 1 to 54." "The last day of the third month of the second season... He mounted to heaven, he joined the sun: the divine limbs mingled with him who begot him." According to the Egyptologist James Breasted, this translates to March 17, 1450 BC. A mummy of Tutmoses III in the Cairo museum was analyzed by two Egyptologists, Harris and Weeks, in 1973 and found to be a mummy of a young man, whereas Tutmoses III must have been at least 80. Egyptians had a way of disguising their embarrassments. The pharaoh was probably never recovered from the Red Sea, and to hide this fact, a fake mummy was put in his place. There is more circumstantial evidence from the 18th dynasty to support this argument. Tutmoses III co-reigned with his son, Amenhotep II (after the death of Hatshepsut), and Amenhotep II was not in Egypt at the time of the Exodus, but in Syro-Palestine suppressing an uprising with most of the Egyptian army. According to Egyptian writings, he returned in June 1450 BC, when he apparently defaced many Egyptian monuments. This act needs an explanation. The Bible tells us that all the first-born in Egypt died in the last plague. On returning to Egypt, he would have found not only the Israelites gone, but he would have also found his father dead, and his first-born son killed in the plague. One can now understand the emotion felt by Amenhotep that caused such a violent outburst. The next pharaoh to rule was Tutmoses IV, who was the second born son of Amenhotep II. According to succession rights, the first-born should have become pharaoh, but he died. To explain this apparent anomaly, there is an inscription on the Sphinx telling the story of how the second-born son became pharaoh in the place of the first-born. Apparently, Tutmoses IV was resting between the legs of the Sphinx when he heard a voice telling him to clear the sand from between the legs, and the Sphinx would see to it that he, rather than the first-born, would be the next pharaoh. An unlikely story, and another demonstration of attempts to cloud the issue, so that the embarrassment should not be made public to the descendants. Monotheistic worship in Egypt did not die with the death of Hatshepsut. During the Amarna Period of the 18th dynasty, monotheism again surfaced in Egypt. The pharaoh after Tutmoses IV was Amenhotep III. This son of Tutmoses IV was still an idolater, but during the reign of his son (Amenhotep IV), the religion of Egypt shifted from the worship of Amun to that of Aten. Atenism was the worship of the one Creator God. The symbol of the sun and its rays was used to described Aten's care for mankind. The sun was not worshiped in Atenism, but served merely as a symbol. There is good evidence that Atenism has its basis in the Hebrew religion. The Exodus must have left its mark upon the Egyptian people, and many adhered to the God of the Hebrews, rather than to the Egyptian deities. The essence of the Egyptian religion was that of sun worship, but numerous gods played secondary roles in their belief system. Amenhotep IV changed his name to Akhenaten, >symbolizing the change from Amun worship to Aten worship (Amenhotep means "Amun is pleased"). Further evidence of Akhenaten's break with the old religion is that he shifted his capital from Luxor to a new capital Akhetaten. In a song written by Akhenaten to his god, there are 17 verses corresponding with Psalm 104. 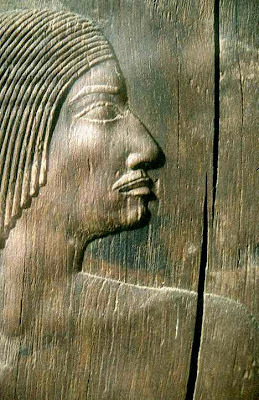 Under Akhenatan's influence, Egyptian culture experienced a period of realism. In statues of pharaohs and their families, pharaohs were no longer depicted as larger than life, but statues of Akhenaten and his family portray him with all his defects, and his wife and children are portrayed in a loving bonding relationship with the pharaoh. His wife was the famous Nefertiti, whose name means "maiden of joy." They had six daughters, of which one was engaged to a young man by the name of Tutankaten. The daughter's name was Ankensenpaaten. Note that the names end in "aten," portraying their mode of worship. Upon the death of Akhenaten, Tutankaten was to become the next pharaoh. However, his change of name to Tutankamun indicates that his pharaohship was subject to the change of his religion. The greatest archaeological finds concern this pharaoh, and tell the story of a short but splendid reign. Was it worth giving up the truth for the sake of earthly glory? The defacing of the statues associated with the reign of Akhenaten again demonstrates the hatred and rivalry between idolatry and the worship of the Creator God.